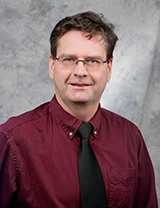 Dr. Gryk is an Associate Professor in the Department of Molecular, Microbial and Structural Biology. He is also the director of the CONNJUR project. 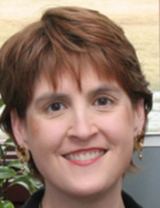 Dr. Ellis is the Chair and Associate Professor of Computer Science and Information Technology at Western New England University. Mr. Weatherby is the lead developer of both the CONNJUR-ST and CONNJUR-WB projects. He earned a B.S. in physics from MIT and spend the first part of his working life as a Naval Nuclear Submarine officer in the US Navy. More recently he's worked as a teacher at grades levels ranging from high school to graduate school and a software developer, working in a range of industries including defense contracting, insurance, and scientific/academic computing. He holds a Master's in Computer Information and Science from Rensselaer Polytechnic Institute. Mr. Fenwick is a current graduate student at UConn Health. He is the lead developer of the NMR-STAR Parser and has also contributed to building GUI's for both CONNJUR-ST and for a non-uniform sampling schedule generator. Dr. Vyas recently completed his Ph.D. in Biomedical Sciences at UConn Health. 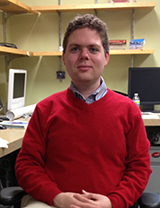 The focus of his dissertation was developing new bioinformatic techniques for analyzing proteomics data using data marts. Recently employed at RedHat, he is now focused on designing tera and peta-scalable MapReduce algorithms. He is always open to collaborating on bioinformatics and big-data related projects. Mr. Nowling worked on the CONNJUR project as an undergraduate research assistant during the summers of 2006, 2007, 2009, and 2010. 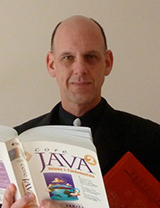 He has contributed to CONNJUR-ST and early prototypes of the Workflow Builder. 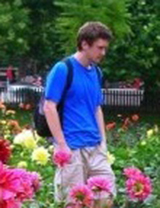 Partly due to the training he received while working with CONNJUR, RJ was accepted into the Computer Science & Engineering Ph.D. program at the University of Notre Dame, where he has been working on developing new computational methods for Molecular Dynamics since the fall of 2010. RJ's other research interests include biophysics, combinatorial optimization problems, discrete math, numerical linear algebra, genetic algorithms, programming languages, and software architectures. He has a B.S. in Computer Science and Math from Eckerd College, St. Petersburg, FL. RJ is a Graduate Assistantship in Areas of National Need (GAANN) Fellow. 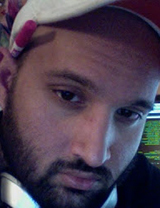 Mr. Sesanker worked on the CONNJUR project from 2011 through 2012 and helped design and implement actor configuration interfaces. 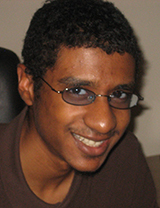 He is currently a Ph.D. student in the computational biology program at Duke University. Mr. Sesanker's current research involves developing methodology to understand the mechanisms of entrainment in circadian clocks. He also works on numerical techniques to explore the parameter space of systems biology models.